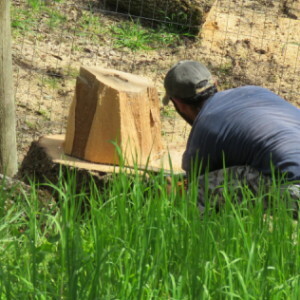 When the tree fell down, the tree man was so busy with emergencies he couldn't come cut it up until the end of April, so OilMan asked our gardener and master of all trades if he could do it. No problem, said Pedro. So OilMan set about making a list of things we couldn't or wouldn't do ourselves for Pedro and his crew . It never ceases to amaze me how hard these guys work, how efficient they are and how much fun they seem to have doing it. 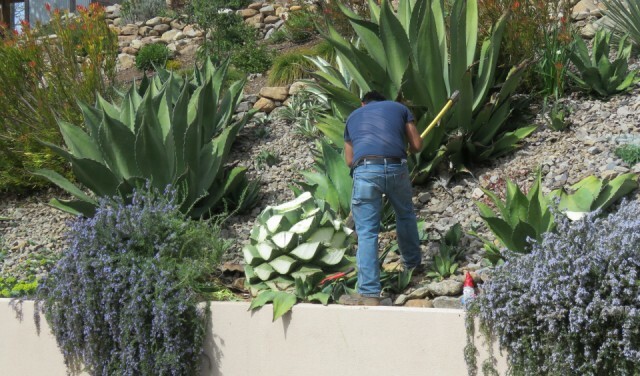 They took out a huge agave which was threatening the retaining wall and taking over the view. 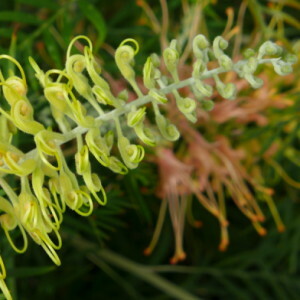 Being ignorant of the ways of agaves, and eager to pull some weeds which were growing beneath it, I had clipped off some of the worst of the wicked spines which do their best to poke one's eyes out. What I didn't know is that you can't prune an agave. They don't regenerate and we were left with a very scarred cactus. You can see some of this damage on the one behind Hector, and the nursery full of small agaves which grow up around the base of the larger ones. Efficient as they are, it still took two guys most of the day to cut off the stalks, dig out the root and chop everything up. Although the inner core and base are very fibrous and spongy, they are full of water and very heavy. The guys had to chop it up with a hatchet and a machete before they could carry it all away. In the meantime, Jorge was down in the ravine cutting up the fallen tree with a chain saw. I put a picture of his artistry in the extras. We used to pay quite a bit for a half cord of seasoned and split oak for firewood, but now that we have a gas fire, we have no use for all this bounty...and more to come when Jerry, the tree guy finally comes to work on the rest of our trees. All these massive oak trees have been quite a challenge for us since we had only one dwarf apple tree on our tiny Berkeley garden, and the only things that grew well in our shaded garden were ferns!